Smeg have added detail to its iconic styling and timeless design to create a stunning new range of small domestic appliances, realised in collaboration with Italian architects Matteo Bazzicalupo and Raffaella Mangiarotti from deep design. The collection consists of new toasters, kettles, stand mixers and blenders, all designed to optimise the cooking environment, adding an extra level to both the aesthetics and performance in the kitchen. 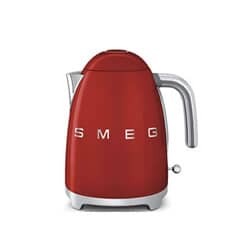 Smeg has become synonymous with the manufacture and supply of high quality, hardwearing, and extremely functional appliances for more than 70 years. 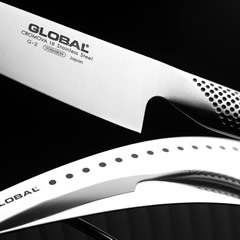 While they are arguably best known for their American style fridges and freezers, with curved corners and smooth lines, they also produce a wide range of smaller appliances and kitchen items. At ECookShop, the kitchenware website of Clitheroe based Dawson's Department Store, we stock Smeg kettles, toasters, coffee machines, blenders, and mixers. Choose from a range of traditional looking kitchen appliances in attractive and gentle colours; all of which bear the distinctive Smeg branding. 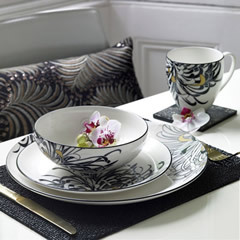 Enjoy a secure online shopping environment while browsing our website for kitchenware and appliances, call us on 01200 421010 to ask any questions you have about the products that we sell, or call in to Dawson's Department Store in Clitheroe where you will be able to view our entire range of homeware items. 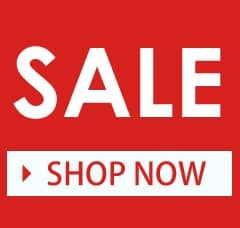 As well as kitchenware and cookware, we also stock a large catalogue of items in categories including barbecues, garden furniture, and more. Founded in 1948, Smeg was established in Guastalla, Reggio Emilia, Italy, by Vittorio Bertazzoni. The company remains in the private hands of the Bertazzoni family, and its headquarters are still located in Guastalla. However, although Smeg was founded in 1948, the Bertazzoni already had considerable, relevant experience within the industry. The family started out as blacksmiths before branching out to metal enamelling with the first Bertazzoni cooker going on display at the World Expo in Milan in 1906. In 1948, the family established a smelting plant and started developing home appliances for residential use. It was during this time that home appliances were viewed as being a status symbol as well as a functional and beneficial item for the kitchen home. They launched one of the first gas cookers in the 1950s and in the 1960s they launched a dishwasher and laundry range. In the following decade, Smeg launched built-in hobs and cookers. The 1990s saw the Italian brand expand to incorporate additional appliances and small appliances. It was during this time that they launched the retro 50's refrigerators that they have become known for. The company now also offers commercial appliances. They even produce specialist items for the health and medical industries. At ECookShop we are proud to offer a range of Smeg small kitchen appliances. We offer toasters and kettles, coffee machines, blenders and mixers. We offer competitive rates on all of the products we offer and, if you place an order over £50, we will deliver free of charge to your UK address. Toasters offer a quick and convenient method of toasting bread, and some toasters enable you to cook and prepare other bread products like bagels and even toasted sandwiches. Even the most basic toaster enables you to set how brown you want the toast, and as well as having an automatic timer, they can be manually popped when your toast is done. When buying a toaster, you should consider whether you want a 2 slice or 4 slice model. The Smeg 4 slice toaster will easily toast 4 pieces thanks to its two extra wide slots. Alternatively, the smaller form 2 slice toaster is ideal if you have minimal toasting requirements or are limited for worktop space. All models benefit from the instantly recognisable Smeg branding, and the traditional choice of colours and curved corners mean that you can enjoy an attractive looking design for your small appliances. Anti-slip feet mean that the toaster won't work its way across the surface while being used, even affording some grip on damp or wet surfaces. The self centring racks mean that you can toast bread of any thickness and enjoy even coverage on both sides of the bread. 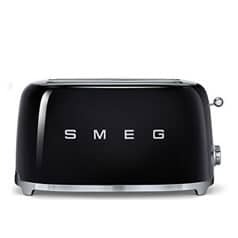 With 6 browning levels and reheat, defrost, bagel, and cancel functions, the Smeg toaster is simple to operate and effective at producing the toasting results you look for. At ECookShop we have a large selection of 2-slice and 4-slice toasters, and we also stock accessories and items to further improve your toasting. The Smeg sandwich rack is available in either a 2 slice or 4 slice model and makes it easy to create toasted sandwiches. The bun warmer is designed for use in the 4 slice toaster that lets you warm buns, toasted teacakes and other bread products that don't require full toasting. Smeg also produces a range of matching kettles that wouldn't look out of place on any worktop or in any kitchen. Choose from the same range of great looking colours as the company's toasters, which includes black, pink, cream, and pastel green. The standard KLF01 kettle has a 1.7 litre capacity, which is approximately enough for 6 cups of tea or coffee. 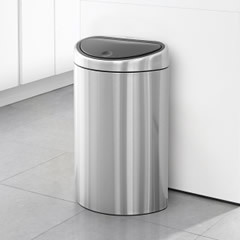 It has a 360° swivel base for convenience, and an automatic shut off at 100°C. The anti-slip feet are not only convenient but offer greater safety by ensuring that the kettle won't easily slip and spill. The more advanced KLF02 model offers variable temperature settings. Choose from 7 temperature settings ranging between 50°C and 100°C. It also has a keep warm button and an acoustic alarm that sounds when switched on/off and at the start and end of the cycle. Coffee machines have become a staple addition to many homes, offering espresso and advanced coffees with minimal effort and very little fuss and mess. 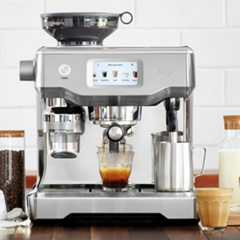 The Smeg coffee machine is an espresso machine, made from stainless steel and plastic housing. It has 3 filters for one cup, two cup, and paper filters. The drip tray is removable for easy cleaning and there is a mug tray for macchiato glasses too. 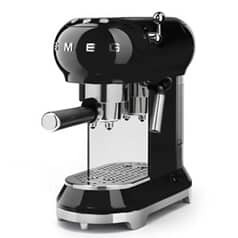 The metal steam lever lets you create frothed milk for cappuccinos and other variants of coffee, and the Smeg coffee machine comes in a selection of colours including pastel blue, red, black, and cream. 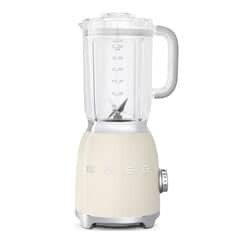 A blender is used for mixing and pureeing food. It is a relatively simple machine but has a host of different and beneficial uses. The Smeg blender is made from an aluminium body with a 1.5l capacity jug and has 4 speed settings up to a maximum of 18,000 max revolutions per minute. It features an ice crush and a smoothie automatic setting and the anti-slip feet make for a convenient and safe blending experience. The Smeg food blender comes in silver, black, pastel blue, pastel green, pastel pink, and red colours. 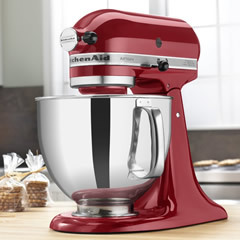 While blenders are typically used for stirring or blending ingredients, the food mixer is a more complex appliance that offers a greater range of functions and uses. 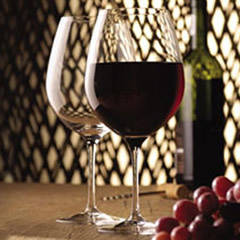 It typically has a range of settings and accessories to help prepare different types and varieties of food. The Smeg blender has a 4.8 Litre capacity and has a die-cast aluminium and polished stainless-steel body that is designed to last and for food safety. It has a planetary mixing action, which means that liquids and foods are mixed thoroughly and uniformly without the need to have to hand mix ingredients. It also has safety features such as a locking mechanism that activates when the mixing head is tilted up, also helping minimise mess and waste. 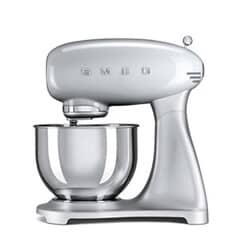 The Smeg food blender comes with a stainless-steel wire whisk, an aluminium flat beater, dough hook, and plastic bowl cover. It has a 10-speed variable speed control and you can choose from a variety of fixtures and additional accessories. At ECookShop we also stock ravioli makers, pasta rollers, fettuccine cutters, and a host of other pasta making accessories. At ECookShop we stock a large selection of Smeg small appliances and accessories. We make sure our prices are competitive and we regularly feature discounts and offers on Smeg and other brands. What's more, if you spend over £50 on your order, we will deliver your items completely free of charge to your UK address. 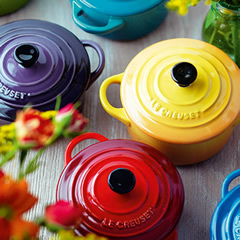 Browse the site, call us with any questions, or call in to Dawson's Department Store in Clitheroe, where you can browse our entire collection of homeware, linen, barbecues, garden furniture, and kitchenware.